Re: additional photography on Carbon Copy (nee' Android Masquerade): honestly our distributor had some excellent ideas for making the movie better. And so we're shooting a scene at the beginning with some soldiers who get killed (which will up the stakes a bit more) and then another scene where some soldiers get killed defending the city against the robot incursion (which will make the stakes of the robot incursion more important) and then some soldiers getting killed during the "false flag" attack in the Philadelphia Desert. Yes, we kill many soldiers. 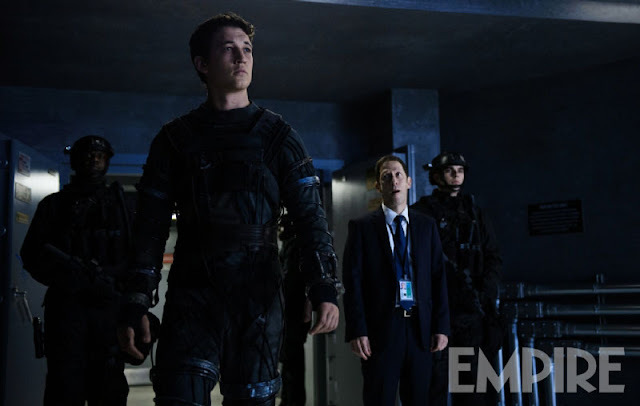 Some details from everyone's favorite comic-book movie, the reboot of Fantastic 4. I like these details. Plus, they look totally doable and wearable. 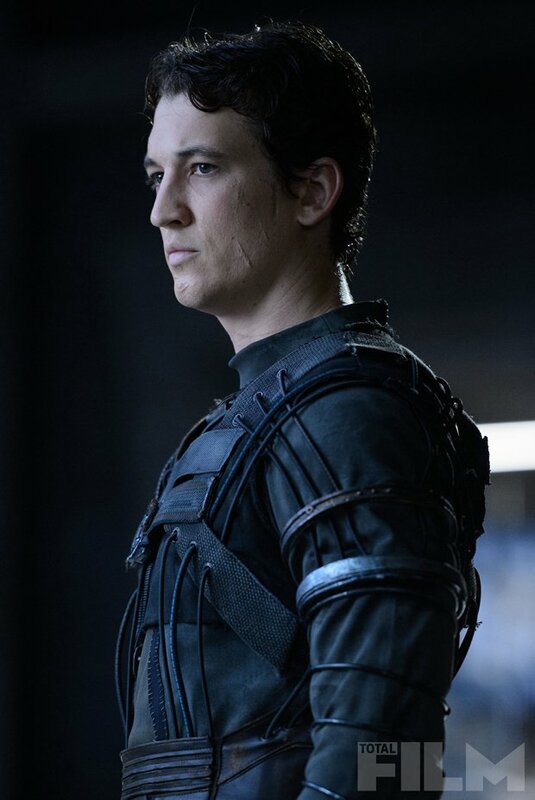 Just a couple pieces of armor and a LOT of straps. Although this is a drawing, this costume notion looks very doable. Plus, I totally dig the shoes. 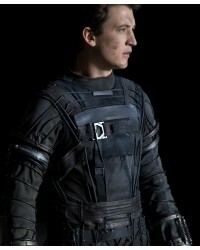 Another angle on the Fantastic 4 costume. We, of course, would add a balaclava and an awesome helmet to this costume. Of course, none of this has been written yet. Well maybe it has but I haven't seen it yet. Steven J. Niles is working on the additions. We need what will be an abandoned city and the Philadelphia Desert. What would be best is an old factory in a rock quarry. Do you have one of those? Can we shoot in it for a day? Speaking of helmets, Brian Schiavo is coming up with a helmet design. 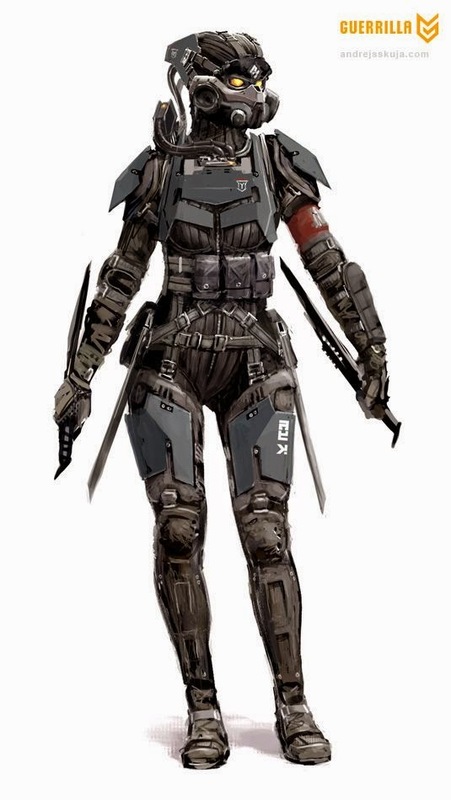 I have so much faith in how awesome the soldiers' helmets will be I'm not even paying attention to it. *Just for your own amusement think about where that desert is that Charlton Heston is in at the end of Planet of the Apes.